I drive a lot of vehicles. And many aren’t that memorable. 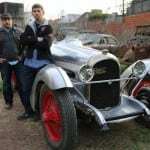 But believe it or not there are a few vehicles I’ve not ever driven. Well this week, I was able to shorten that list. 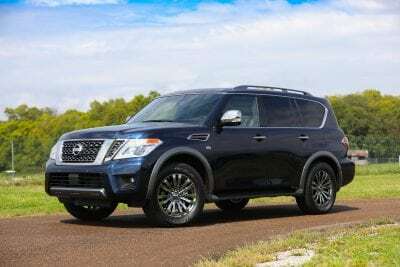 This week’s tester is the 2018 Nissan Armada. It’s an SUV from when SUVs were big. There’s nothing crossover about this Armada, and I like that. Although Nissan’s Murano and Rogue are extremely good. In fact, I’ve driven those two crossovers numerous times, so it was nice to slip behind the wheel of the Armada to see how it compares. Frankly, it’s just a totally different beast that is incomparable to its smaller siblings. 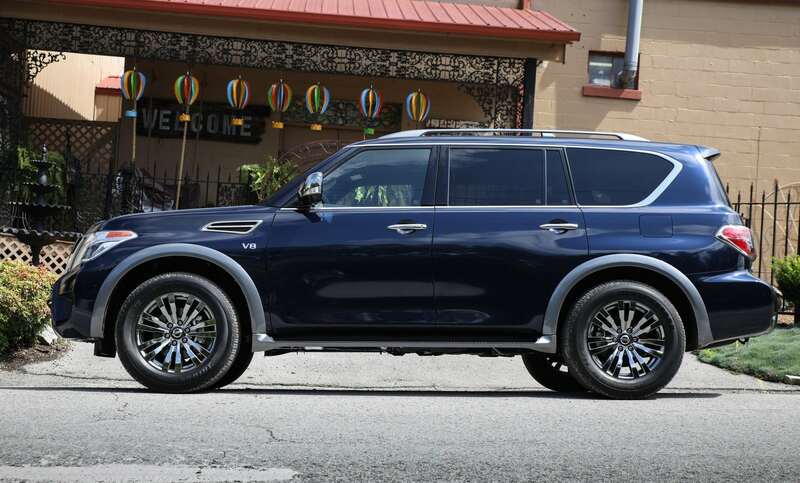 The Armada more compares with its luxurious cousin the Infiniti QX80. 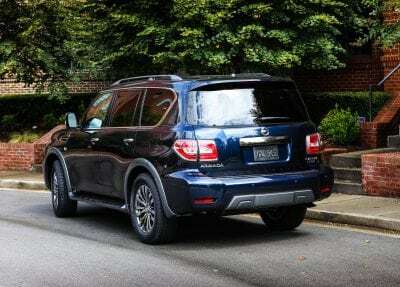 I’m familiar with that SUV and can say, the Armada is very similar to it, they do share a platform after all. Even the looks of the Armada are similar to the QX80, including the pseudo-vent that is over the front wheel well near the A-pillar. This gives the Armada an elegant look. 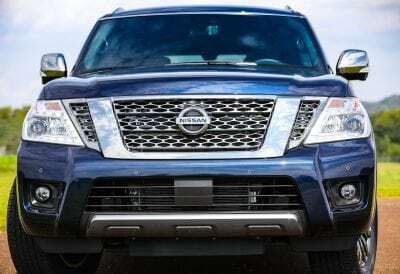 The front end has chrome highlights on the grille albeit the front end still seems somewhat dated and long in the tooth, when compared to other big SUVs that have been recently redesigned. The Armada did receive a redesign in 2017, but hopefully it goes even further with the next model year. The chrome theme continues with trimmed out window frames. The chrome accents are even found on the back side. So, hooray for consistency in styling! The Armada is big. 5,900 pounds big and 208.9 inches long. So, a V8 is required to move all that metal. The Armada comes with a steady-performing 5.6-liter V8 engine. 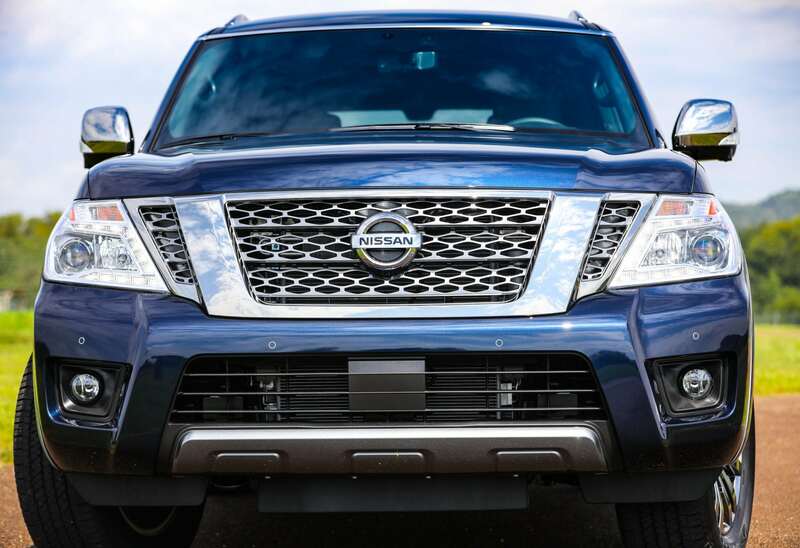 The 390 horsepower seems a little low, but on the road, and off the line, the Armada’s engine is up to the task of moving this full-size SUV smoothly. The 7-speed automatic transmission is okay, although there some shifts that seemed a little out sync and performed like a continuously variable transmission (and that’s not a good thing). Off the line it and getting up to highway speed, it was flawless. I was, in fact, surprised at how smooth the Armada was. It didn’t drive quite as big as some of its rivals (like a Suburban). The steering was responsive, and the braking was firm but not grabby. 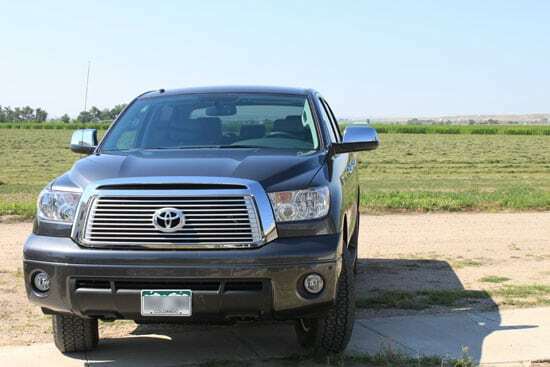 All of this capability adds up to a towing capacity of 7,500 pounds which is at the top of this segment in capability. For towing a boat or recreational vehicle, this Armada is up for the task. 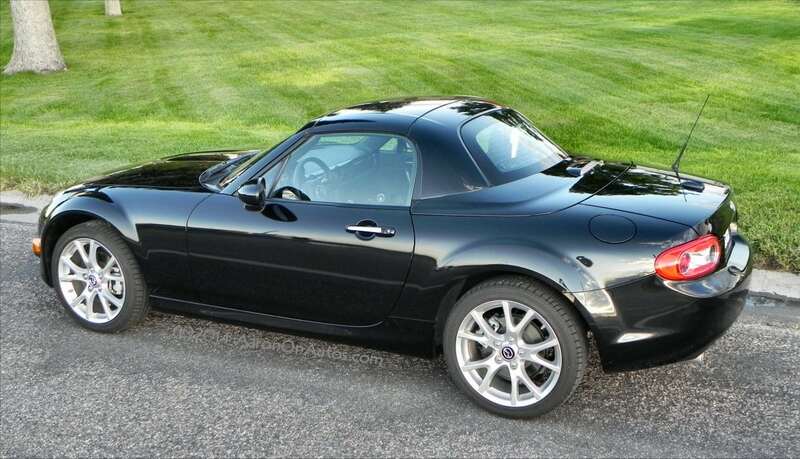 Do splurge a little, and lose a little fuel economy, and add the four-wheel drive. Front-wheel drive is standard, but the Armada is much more suited when equipped with four-wheel drive. 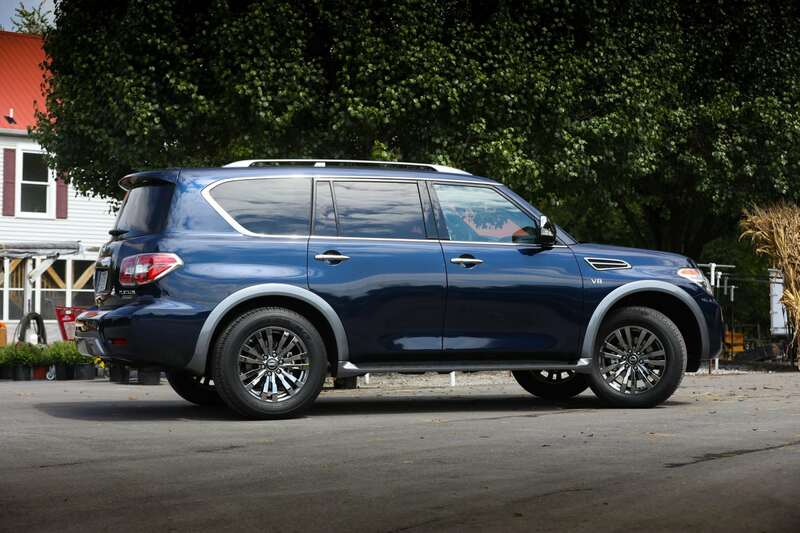 Inside, I was surprised at how similar the Armada was to the QX80. Infiniti being a luxury brand, I was amazed at how high end the Armada felt, but that goes well with the full-size segment where high-end trims rule the roost. 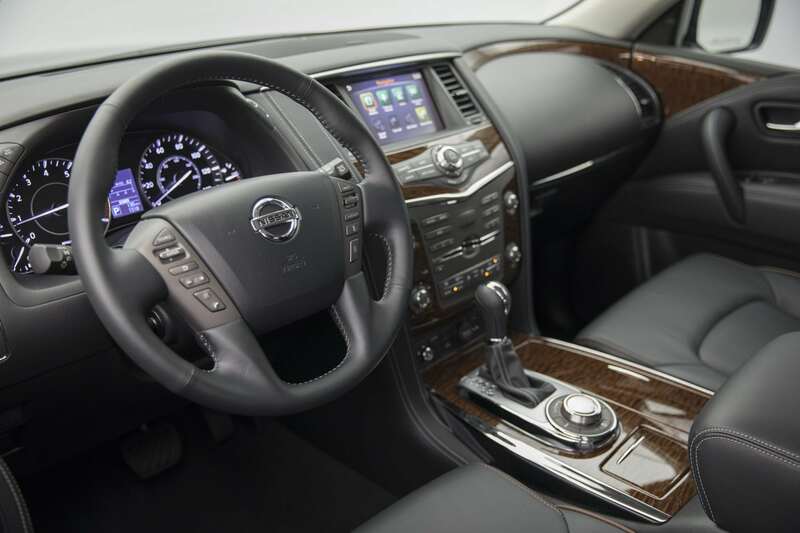 Leather seats are comfortable and there’s even a leather-wrapped steering wheel and gear knob. While second row seating is ample in regard to shoulder and legroom, the third row is a little cramped, but again that’s pretty standard for the segment. Behind the third row, the cargo room was shockingly small. A week’s worth of groceries fit, but I’ve seen more room in the trunks of mid-size sedans than behind this third row. The Armada has only 16.5 cubic feet of cargo room with all seats upright. Fold the third row down and it expands to 49.5 cubic feet. 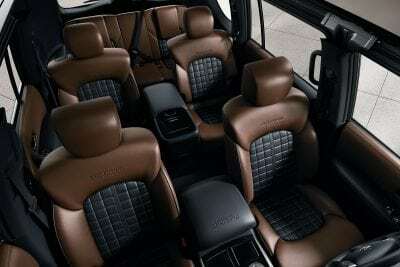 With all seats folded, the interior cargo room is 95.4 cubic feet, which is quite ample. The other disappointing aspect of the Armada was the infotainment system. For a vehicle that was redesigned in 2017, it sure feels dated still. There’s not even Apple CarPlay or Android Auto capability and the overall system just doesn’t have that modern vibe of other vehicles. There was a rear entertainment system to keep the family amused on long road trips. 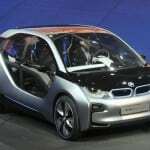 My tester was the top-of-the-line Platinum trim which has a starting price of $61,590. The Platinum trim has heated and cooled front seats, heated second-row seats, the aforementioned rear-seat entertainment system, and optional captain’s chairs for the second row. My tester had these captain-style seats, making the Armada a six-passenger vehicle, although the shoulder room and leg room in this option is well worth the additional $450. My tester had a final MSRP of $63,545. 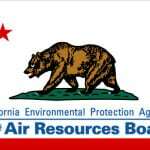 The Armada is a gas guzzler with a rating of 13 mpg/city and 18 mpg/highway. 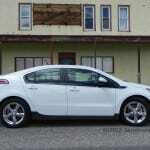 In a week’s worth of driving, I averaged only 15 mpg. This is all pretty standard for this segment. Adding the Armada to the list of vehicles I’ve driven is nice. Will it remain memorable or forgotten? Well, I’m getting pretty old here, so don’t count on my memory too much, but I certainly was impressed with this big SUV’s overall appeal, despite some of its flaws. For 2018, a new Armada Platinum Reserve model is offered – with Dark Chrome exterior trim (front grille, door handles, outside mirrors), 20-inch Dark Chrome wheels, two-tone leather-appointed seats with unique stitching, unique Black Quartz and premium wood tone interior trim, and an embossed “Platinum Reserve” emblem on the console lid. 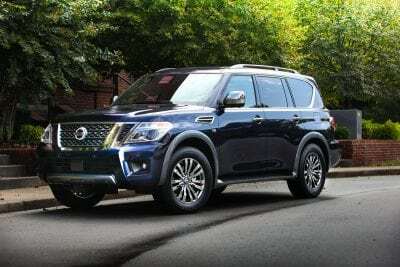 For the first time on any Nissan vehicle, the Armada Platinum and Platinum Reserve models will have a standard Intelligent Rear View Mirror. 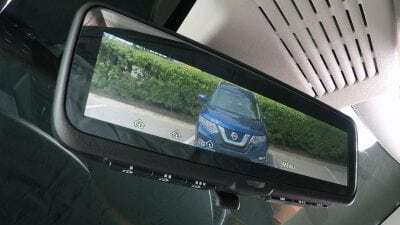 Following the recent announcement of the advanced ProPILOT Assist™ and Rear Door Alert (RDA), Nissan is launching another innovative technology in the 2018 model year – the Intelligent Rear View Mirror (I-RVM). The I-RVM adds a built-in LCD monitor within the traditional rearview mirror to help provide clear rearward visibility unimpeded by traditional obstacles such as cargo, tall passengers or the design of a vehicle. 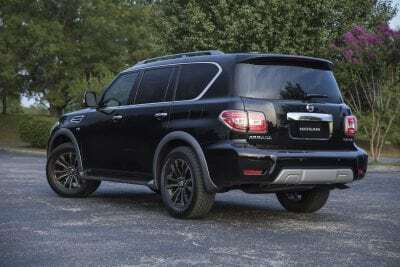 The 2018 Nissan Armada will be the first Nissan vehicle to offer the new I-RVM technology when it goes on sale at Nissan dealerships nationwide in September. For the 2018 model year, Armada adds standard NissanConnectSM Services powered by SiriusXM®, an 8-inch multi-touch control display, HD Radio, SiriusXM® Travel Link with three years of trial access (SiriusXM® subscription required, sold separately), Enhanced Voice Recognition, Hands-Free Text Messaging Assistant, and additional USB ports for all three grade levels – SV, SL and Platinum. And, for the first time on any Nissan vehicle, Armada Platinum models include standard Intelligent Rear View Mirror (I-RVM)3, which uses a high-resolution camera mounted on the rear of the vehicle to project a clear image onto an LCD monitor built into the standard rearview mirror.